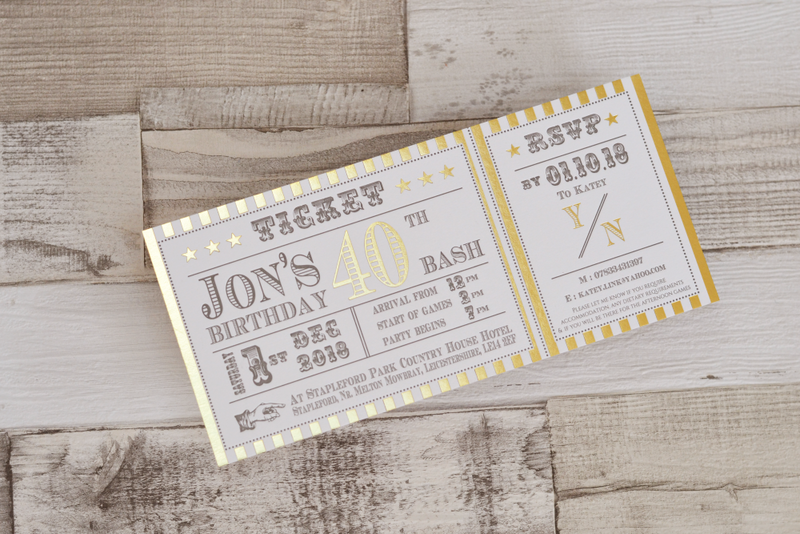 Katey came to us asking for a bespoke design for her husband Jon’s very special 40th birthday party at Stapleford Park at the end of last year. 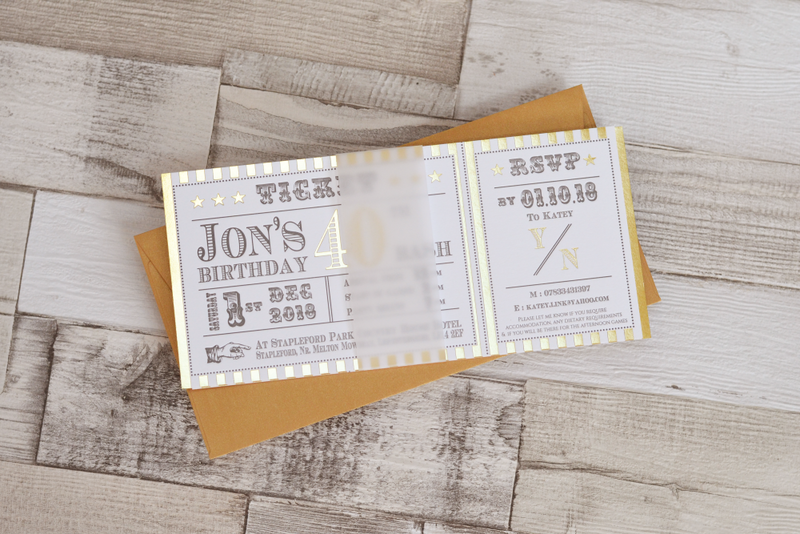 She gave us free range of the design but want a fun party theme with a luxury feel to hint at the style of the party. 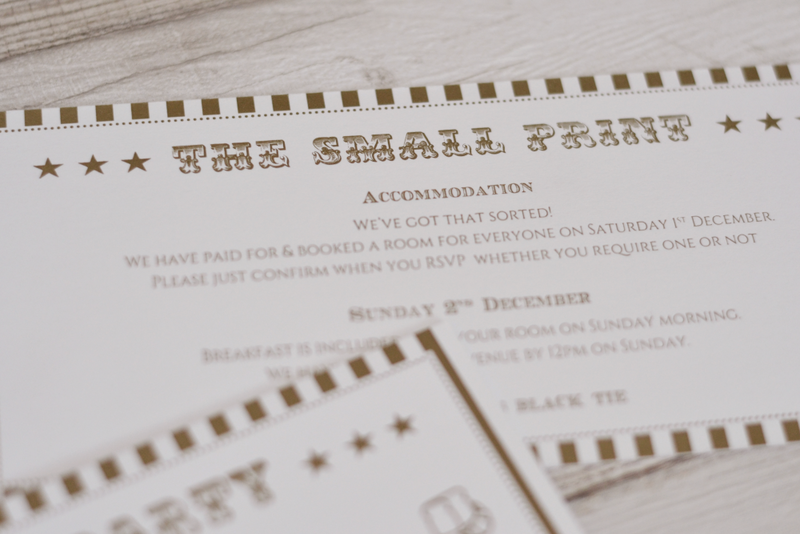 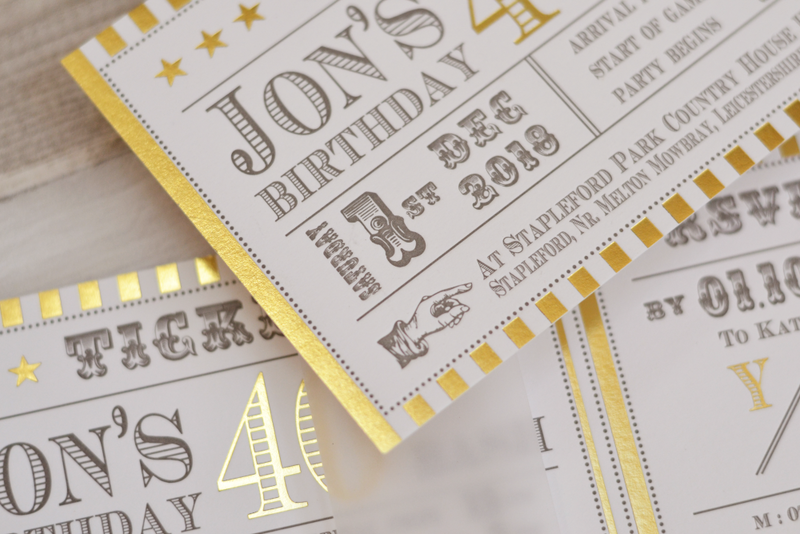 We created these bespoke ticket style invitations that features hot gold foiling matched with a grey letterpress design. 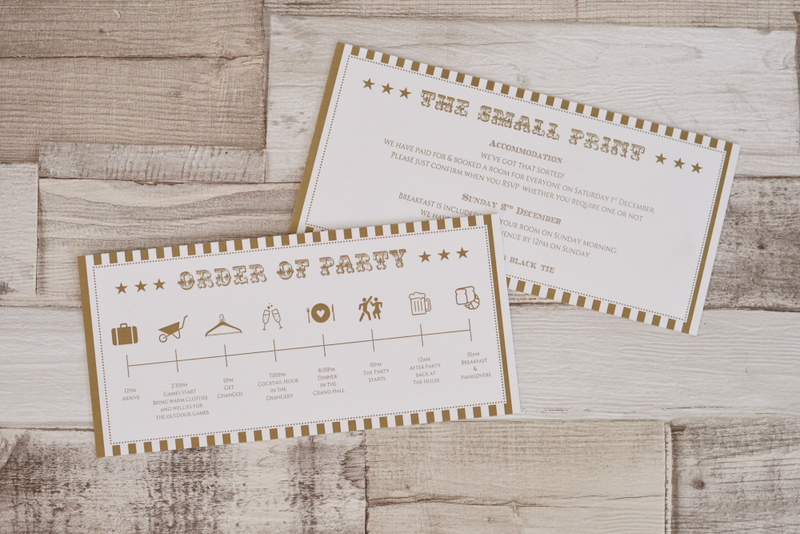 To compliment the invitation were double sided letterpressed information cards featuring all the important details on one side and a party timeline with icons on the reverse. 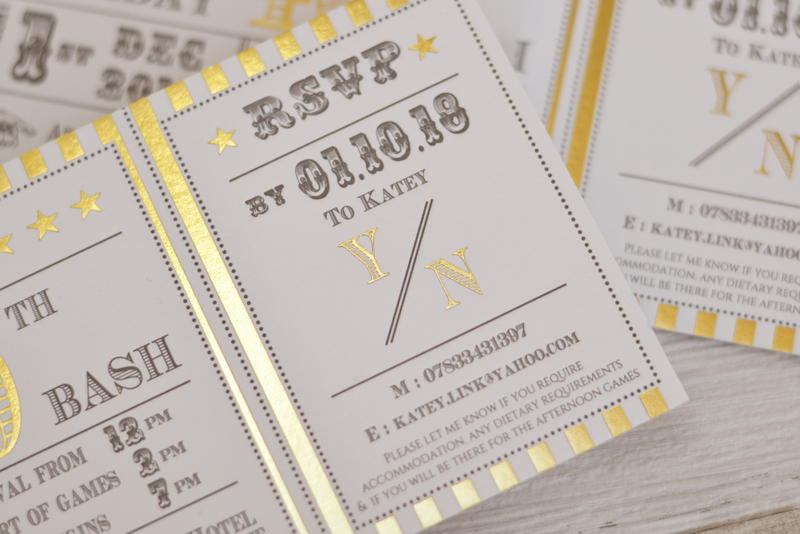 Everything was finished with a modern vellum belly band and pearlescent gold envelopes.